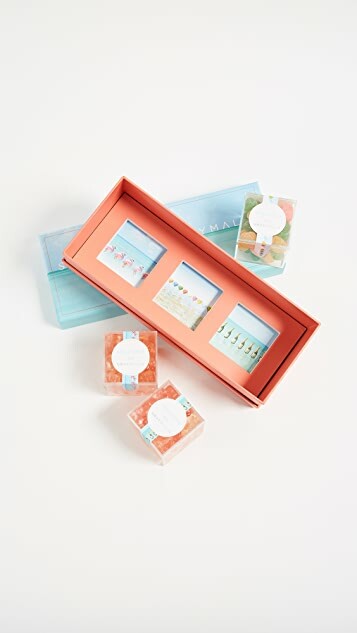 Curated by Gray Malin for the luxury confectioners at Sugarfina, this selection of three tart, gummy candies perfectly evokes Malin's hyper-saturated, tropics-inspired aesthetic. 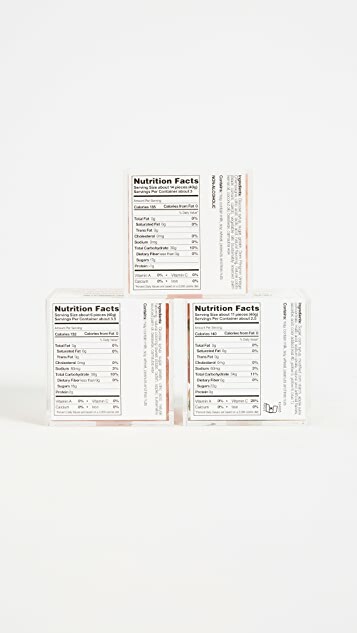 Founded by Rosie O’Neill and Josh Resnick, sweets company Sugarfina’s mission is to create the ultimate candy for grown-ups. 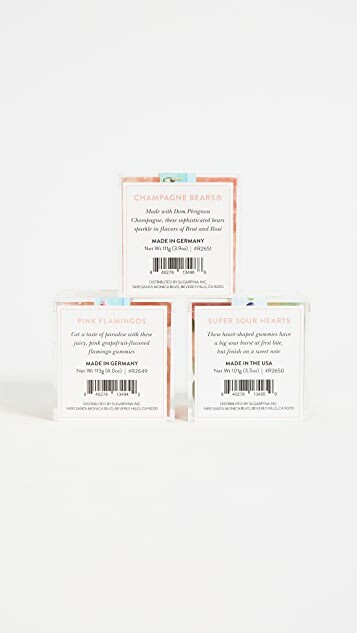 Specializing in decadent confections like champagne-infused gummy bears and chocolate-covered almonds in the shape of martini olives, Sugarfina creates candies that are as striking visually as they are delicious. 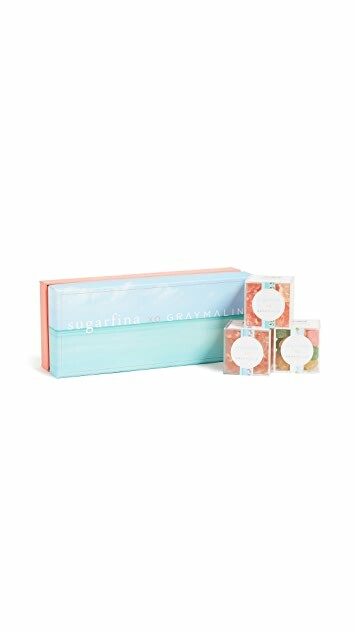 To ensure unparalleled quality, all Sugarfina candy is created using the finest ingredients, sourced directly from artisanal suppliers around the world.